Bombardier has announced changes to its leadership team, including Danny Di Perna’s appointment as president, Bombardier Transportation, effective immediately. Di Perna succeeds Laurent Troger who intends to pursue opportunities outside the company. 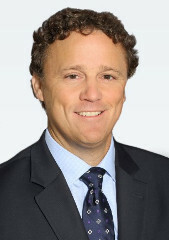 Di Perna joined Bombardier in 2018 and most recently served as president of Bombardier’s Aerostructures and Engineering Services (BAES) segment. Paul Sislian will succeed DiPerna as president of BAES. Sislian most recently served as chief operating officer for Bombardier Business Aircraft (BBA). Nancy Barber succeeds Sislian as BBA chief operating officer. Prior to her new appointment, she served as vice president program management for the Global 7500 and New Aircraft Studies.